TaylorMade’s Tour Preferred Irons – Tour Preferred MB, Tour Preferred MC and Tour Preferred CB – are among the most popular choices on the European and PGA Tour. 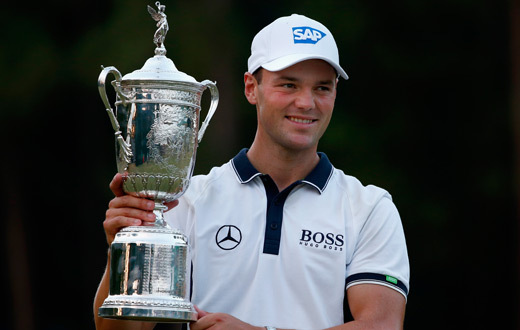 The MC range were in Martin Kaymer’s US Open winning bag which certainly fits the ethos of being for “better players”. All three models are offered in 3-iron to PW and come with KBS Tour steel shafts and tour velvet grips. Custom shafts and grips also available are available. The Tour Preferred MC combines a player’s shape with a shallow “muscle cavity” to improve contact and feel. The Tour Preferred MB is an authentic muscleback player’s blade. The shape is classic and compact, with a thin top-line and minimal offset. The 3-7 irons incorporate TaylorMade’s Speed Pocket technology, which promotes increased ball speed in the lower portion of the clubface for more consistent ball speed and launch conditions across the entire face. The head’s length, top-line and sole-width are all slightly larger compared to the Tour Preferred MB. The Tour Preferred CB is a full-fledged cavity back that maintains the shape of a player’s iron and the look of a blade when set-up behind the ball. The Speed Pocket in the 3-7 irons features micro-slots, which promote faster ball speed across the face and higher launch for increased distance. That helps make the Tour Preferred CB one of the longest player’s irons that TaylorMade has ever created. Short-iron heads are compact with minimal offset, while the long and middle iron heads are slightly larger with progressive offset for more stability and easier launch. “We don’t believe you can call yourself a great iron company unless you create irons that great players want to play,” said Sean Toulon, executive vice president. “Irons that meet a Tour pro’s requirements for look, feel, sound and workability. “That’s why these clubs bare the name Tour Preferred. The head has to look right from every angle. Q: Which is one of the longest player’s irons that TaylorMade has ever created. To enter, email your answer to competitions@twww.golfcare.co.uk with your name, membership number and contact number. The prize draw will take place on 31.07.14.